A well designed website that is easy to navigate on all devices and gives valuable information about your product or service should be an asset to your business. Joka Design provides proactive and creative web design and online marketing assistance to small businesses in and around the Surrey area. Increasingly, we help established businesses to update their online marketing approach to suit a mobile audience. Why you need a Mobile Friendly Website. We focus on the marketing and communications needs of each individual business and tailor a website solution to suit the budget available. Our clients value our supportive approach and economical rates. 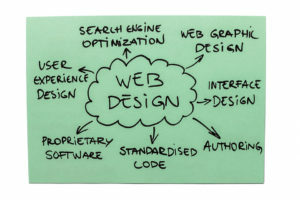 In essence, we view web design as a process by which a business idea can be communicated successfully on the internet. But to establish a truly powerful online presence, other factors must be taken into account in each project. Some of these are outlined below. For example, websites for businesses of the same kind in the same locality will tend to be fairly similar in terms of content, with a brief description of the business, opening times, contact information and some product or service information. We need to focus on what makes your business different from and better than all the others competing with you and then research which key words are used most often to search for that particular feature. Let’s say, for example, your restaurant has regular party nights or live music. In this case, we would include unique and relevant information on the website and aim to get you listed high in results for this sort of search. The same theory applies to all business sectors.